As the CEO or a member of the executive team of your organisation, you may still be wondering how social media can help your organisation deliver its strategic goals. Perhaps your marketing and communications team are bringing requests to you for additional digital communications and social media tools and resources. Your compliance and risk team may be concerned about the requests being made to encourage employees to use social media to represent the organisation. Your HR team may be looking to use social media to recruit new employees. Your customer services team is increasingly spending time answering support queries on social media channels. And the last conference you attended had members of the audience live streaming your keynote address as well as the event being live streamed from the online portal of a major national publication. It is no longer possible to ignore social media as an integral element of your communications. These may be new platforms that you are not familiar with, and perhaps you are hesitant as to how you can use these platforms to amplify your expertise and thought leadership versus that of your competitors. Today, social media is being used by executives and exco’s to connect with the media, attract great talent, identify business opportunities and as a source for journalists and reporters. If you fear you have been left behind and are unsure how to navigate social media, manage your personal brand online, demonstrate your thought leadership and at the same time build awareness of your organisation, Krishna De is ideally suited to support you. She is an ex SVP and board member and has worked in organisations that are not just future focused, consumer centric, but which are also compliance centric. Krishna is an authority in digital communications, social media, online reputation and personal branding. She supports executive teams, CEO’s and senior leaders through mentoring, workshops and executive briefings on how to integrate social media into the organisations communication plans and to become more confident and capable in understanding and using social media in their executive role. 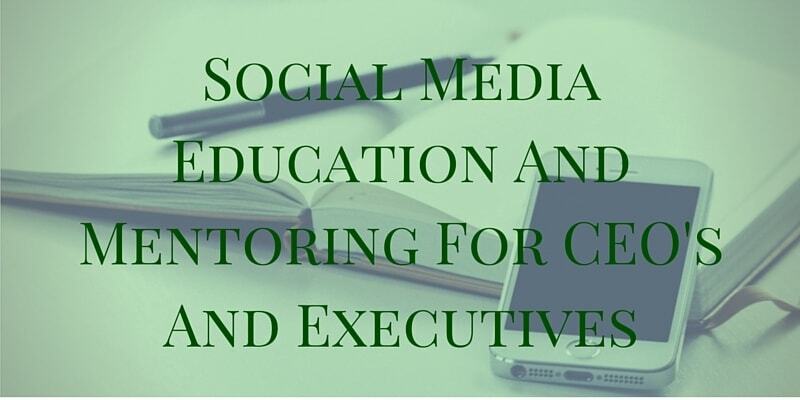 The programme of mentoring and social media training for executives and executive teams is customised for your organisation and the personal experience of the executives. It can be delivered face to face ot the social media training for executives and CEO’s can be delivered virtually to accommodate the challenging calendars of the senior leader and recordings of all mentoring and training is provided so that you can revisit the topics covered. Contact Krishna to discuss in confidence your mentoring and education requirements.